Creation: This tiara was made in the late 1800s. The diamond and osprey feather aigrette was later removed. 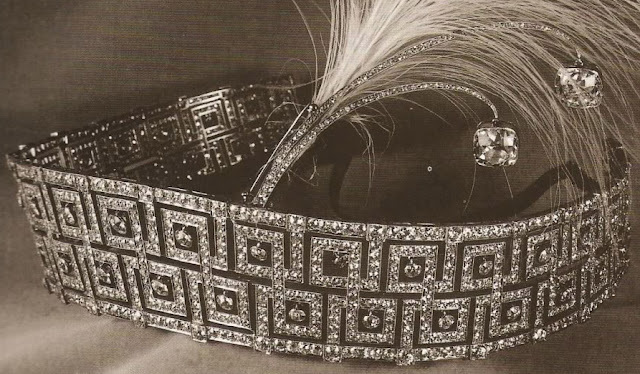 Did Queen Elizabeth inherit this tiara from Dame Margaret Greville in 1942? Did Princess Anne inherit this tiara from her grandmother in 2002?